A handful of sparkling stardust from the glamour of old Hollywood fell on an obscure corner of South West London this week with the solution of an enduring mystery of the film actor Errol Flynn`s early life in the district. The puzzle as to its location has defied writers and historians studying the screen actor`s origins before he tore a blaze across the Hollywood firmament, leading some to speculate as to whether it existed at all as Flynn described it, but it has now been solved by a dusty half-forgotten old trade directory from the mid 1920s stored at the Wandsworth Borough Archive on Lavender Hill during research into the star`s early years. In the frail pages of an obscure small business circular called the Wandsworth Directory 1925, listed in between Sanitary Engineers and Servants` Registry Offices under Scholastic was found an entry for South West London College (Mr. E.H. Burbidge, Principal), No. 99-101 Castelnau, confirming the veracity of Flynn`s account and locating the long gone school amidst a line of regency villas on the road leading up on to Hammersmith Bridge. old, fat and terrifying and glaring at you like a toad; and another teacher who had: sloppy clothes and a kipper-footed gait and spent most of his time stalking the school`s better looking boys (who were in turn anxious to stay one step ahead of him) with an ominous intent and a lecherous smile, who would leave the school`s employment under a cloud after having shown an unhealthy interest in the boys in the school`s cricket team for reasons other than cricket. Flynn further described parading from Barnes across the bleak wasteland of Barnes Common into Putney and through its streets as the boys went off to church each Sunday in a 2 by 2 column, creating a colourful sight in their uniforms of striped trousers and blazer, with straw boaters for the Summer months being replaced with top hats in the Winter; and also the subsequent loneliness that he experienced in a strange place far from home when finding himself discarded by his parents and left in the school alone with all of the other boys having departed for the holidays, and he found himself with nothing to do but wander around its empty class-rooms; and how this abandonment and the resentment that it caused would mark his character in his future passage through the world. He left the school after 2 years in 1925, and headed back to Australia and a subsequent meteoric future that awaited him of fame and wealth at the summit of Hollywood before he would burn out in a self-destructive pursuance of sensual excess; but the building, which today makes two private houses, that encompassed South West London College remains with its own memory of its role in the life of one of cinema`s icons. Very interesting story. Brings back some great memories. I had 3 sisters who loved Errol Flynn, and the day I turned 13..all four of us were teenagers for a short time. 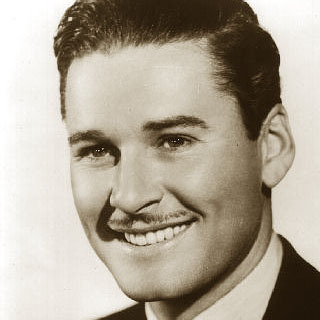 I did watch many Errol Flynn movies and he was a sort of hero to me ..until Lawrence Harvey came on to the scene..I mean screen.